papermadeprettier: Spring has SPRUNG for this month's card class! RSVP TODAY! 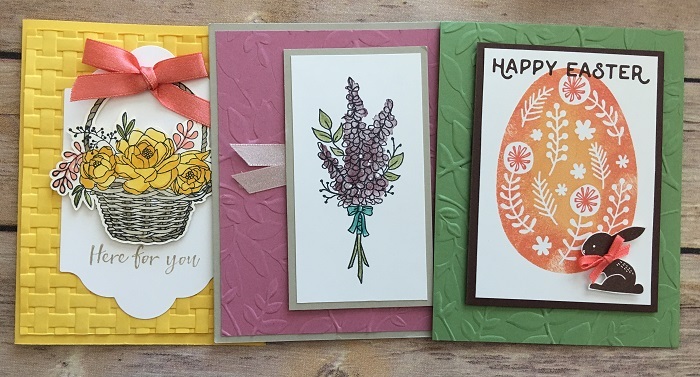 Spring has SPRUNG for this month's card class! RSVP TODAY! I have a solution for you! Spring is in full swing in my craft room. It's perfect for beginners and priced just right. It's only $15 or FREE with minimum purchase. We will make 2 of each of the above cute cards (I don't take credit for the designs, they are swaps!). I will do all the work, all you need to do is come and enjoy yourself. Email me to RSVP cogbill22@yahoo.com or reply to the event on Facebook!